Niklas currently works as a supervisor and strategic facilitator for various multi-national companies and organizations, such as, AstraZeneca, Barco, Bombardier, Ericsson, IKEA, Nordea, Saab Group, Repsol, Scania, Siemens, Statiol, Volvo Cars, etc. but also various hospitals, public organizations, management consulting firms, private equity firms, venture capital firms, etc. 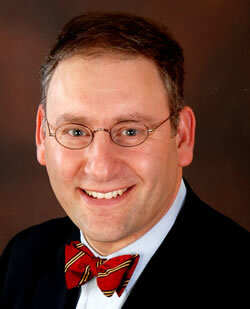 He has taken a leading position as inspirational lecturer within the field of lean and operational excellence. Niklas is the author of the best-selling book “This Is Lean – Resolving the Efficiency Paradox” which has sold over 180 000 copies and is most sold lean books of all time in the world. 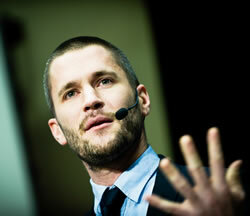 In 2012 Niklas was selected as one out of 101 Super-talents in Sweden by the weekly business publication Veckans Affärer. Paul H. O’Neill was the 72nd Secretary of the U.S. Treasury, serving from 2001-2002. 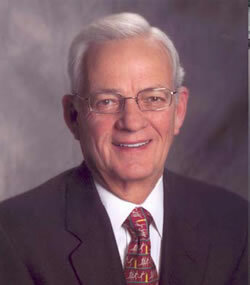 O’Neill was chairman and CEO of Alcoa from 1987 to 1999, and retired as chairman at the end of 2000. Prior to joining Alcoa, O’Neill was president of International Paper Company from 1985 to 1987, where he was vice president from 1977 to 1985. He worked as a computer systems analyst with the U.S. Veterans Administration from 1961 to 1966 and served on the staff of the U.S. Office of Management and Budget from 1967 to 1977. He was deputy director of OMB from 1974 to 1977. He received a bachelor’s degree in Economics from Fresno State College in California, and a master’s degree in Public Administration from Indiana University. He was born in St. Louis, Missouri, on December 4, 1935. Shook learned about lean management while working for Toyota for nearly 11 years in Japan and the U.S., helping it transfer production, engineering, and management systems from Japan to NUMMI and subsequently to other operations around the world. While at Toyota’s headquarters, he became the company’s first American kacho (manager) in Japan. In the U.S., Shook joined Toyota’s North American engineering, research and development center in Ann Arbor, MI, as general manager of administration and planning. His last position with Toyota was as senior American manager with the Toyota Supplier Support Center in Lexington, KY, assisting North American companies implement the Toyota Production System. As co-author of Learning to See John helped introduce the world to value-stream mapping. John also co-authored Kaizen Express, a bi-lingual manual of the essential concepts and tools of the Toyota Production System. In his latest book Managing to Learn, he describes the A3 management process at the heart of lean management and leadership. 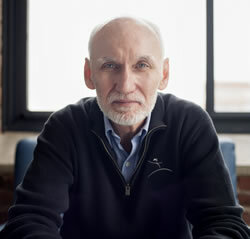 He is the author of “Toyota’s Secret: The A3 Report”; Sloan Management Review, July 2010 and “How to Change a Culture: Lessons from NUMMI”; Sloan Management Review, January 2010, which won Sloan’s Richard Beckhard Memorial Prize for outstanding article in the field of organizational development. Steve Spear is a senior lecturer at MIT at the Sloan School of Management and in the Engineering Systems Division, is a senior fellow at the Institute for Healthcare Improvement, runs the consultancy HVE LLC, and created the business process software, the See to Solve Real Time Alert System. Spear’s work focuses on how organizations can bring far more value to market, far faster and easier than is typical, reaping outsize rewards for that velocity. The key point is managing all work so there is high speed feedback about what is going right and wrong, fast disciplined correction of what is off track, and aggressive use of new discoveries going forward. The result is exceptional resilience, reliability, and agility. Spear’s research has had wide impact through publications like The High Velocity Edge, “Decoding the DNA of the Toyota Production System,” and “Fixing Healthcare from the Inside, Today,” as well as a long list of other publications in academic journals and the popular press. These have received rewards like the Philip Crosby Medal, the McKinsey Award, and several Shingo Research prizes. He’s worked directly with a broad range of well-known institutions like Intel, Intuit, Alcoa, Lockheed Martin, DTE Energy, Harvard Medical School hospitals, the US Army, and the Department of Treasury, where there have been profound changes in performance and the rewards returned to all stakeholders.